Causes New Features: Automated Welcomes To New Members - Good Relationship Building or Viral Spam? Last year, one thing that annoyed me about Causes, that it was time consuming to welcome new members and thank them personally once they joined or donated to the Cause. It's an important principle of building online community - greeting new members. I noticed that Causes now has an administrative feature that when you join a Cause, you can receive a thank you note as a wall post. So, presumably this helps spread the word about your Cause virally on Facebook. Yesterday, colleague Dave Pentecost suggested on a previous post about Facebook Connect in the comments that this automated spreading of messages as a form of spam. It's significant that your first awareness of this was as a result of a purchase, and remarkable that you decided to participate in spamming your friends, even for a good cause. We are entering a post-consumer phase of our economy and we can expect to see both increased promotion of these schemes to map our connections and graph our personal marketing power, and a backlash against the use of social networks to sell things to us. If I receive an automated notice of what a "friend" has purchased I will likely remove myself from the network in question, and question the friendship. Then again, I am probably not the demographic that is targeted. I find it hard to accept these robotic simulations of intimacy, where others may find it normal and helpful. I am wondering when the backlash will come and people will stop paying attention to "automated" messages like that - even for good causes. When will they just become ads to be tuned out? Be A Voice for Darfur is an excellent example of multi-channel campaign designed to bring attention to the appalling genocide in Darfur. Geoff Livingston and Qui Diaz are behind this brilliant multi-channel campaign that is using social media for social good. But before I examine the tactical aspects, let's look at the compelling reason why this is so important. Here's the call to action from the web site. The genocide in Darfur continues – now in its sixth year and at the price of nearly half a million lives. Despite numerous dedicated efforts to end this crisis, Darfuri people are still suffering and struggling to survive. As the Obama administration ushers in a new era of foreign policy, this nation has an opportunity – an obligation – to aid our global neighbors in Darfur. The Save Darfur Coalition’s "Be A Voice For Darfur" postcard campaign (http://addyourvoice.org) seeks to ensure that Darfur is a top priority for President-elect Obama, who has already promised “unstinting resolve” to end the Darfur Genocide. We aim for no less than 1 million postcards to be emailed and snail-mailed to President-elect) Obama within his first 100 days in office. With your help, we can draw desperately-needed political attention to the ongoing genocide in Darfur. "The time to for action is now, and in a year when many of us are suffering financial hardship, we can still make a difference. Signing the petition, tweeting or writing blog posts are great ways to help without expending a lot of cash." Can we ask you to add your voice? It takes only moments – please sign the pledge at http://www.addyourvoice.org/. Most importantly, you can influence others to stand up and be a voice for Darfur. Simply spread the word through your personal networks. The initiative also has a group blog- it's the homebase where the campaign is aggregating campaign coverage in the main stream press and on blogs. The Twitter strategy includes using a hashtag #voice4darfur which we'll see more of on December 9th when the UN celebrates the 60th Anniversary of the Genocide Convention. There is also a Facebook component that includes a Cause and application. The Cause has raised over $75,000 from its over 1,000,000 members. The campaign is also taking advantage of the new petition feature launched recently by Causes. The petition feature offers a landing page in Facebook where you "sign" a petition and invite your friends to sign the petition. The petition can also be linked from the main causes page and more than one cause can feature your petition. For example, for the Save Darfur Petition, there are over a dozen other Darfur and Human Rights Causes featuring the petition. Causes has incorporated two more viral features. Once you sign the petition, you can "donate" your status line to the cause and have the application automatically write your status line. In addition, it puts a story in your needs feed. By doing this, word that I have signed this petition can be transmitted to my friends in a way that isn't adding to their in box messages. But the tools are just a means to an end. So go sign the petition, send a post card, blog about it, twitter about it, or invite your friends on Facebook to Cause. Kami Huyse wrote a post about the campaign on her blog, but more importantly she shared what she wrote on her postcard. With the monumental problems facing the United States at home and abroad, it would be tempting to put the conflict in Darfur on the back burner and just maintain the status quo of "managing" the crisis. However, innocent civilians are suffering in conditions that most of us would not wish on our worst enemies. We are at risk of losing an entire generation to despair and violence. We also risk that some of these will turn to extreme measures out of this despair and that the conflict will spread to impact our own interests. Please consider making this a centerpiece of your new administration and using it to show the world that America still stands for what is decent and good. The site is also a great place to get ideas about how to advance other worthy causes that you might be passionate about, and it certainly is a good example of how to stimulate a grassroots movement, a skill that communication professionals should have in today's world. With your help, this campaign can get Darfur past Obama's doorstep and put an end to the genocide before another year goes by. Let's stop being bystanders to genocide. 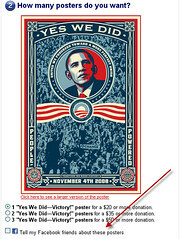 Right after the election, I ordered some Obama stickers from MoveOn. When I went to their web site to complete the order, I was surprised to see the option of telling my Facebook friends about it the purchase as part of the transaction. I installed Friends Connect and approved the information for my news feed.I screen captured it for later reference. In November, 2007, Google announced Open Social API. I remember I was working two articles for TechSoup (Social Networking Options and Secrets To Effective Social Networking and considering how to one might explain open to their executive director. At the time, the idea of ubiquitous social networks felt like it was a far from being a reality that might impact many nonprofits. That has changed a bit in the past year as more nonprofits have started to incorporate social networks as part of their web strategies. 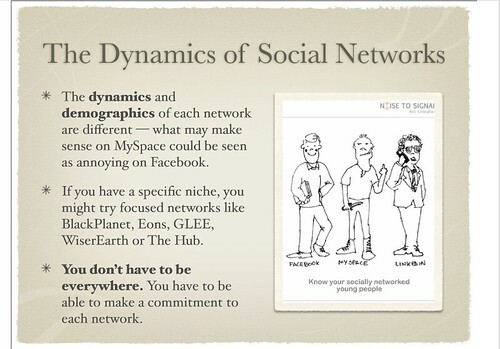 If you want a better understanding of what ubiquitous social networking is, read this indepth piece by Charlene Li called "The Future of Social Networks" from March, 2007. She says ubiquitous social networks will develop into the following: 1) Universal identities; 2) A single social graph; 3) Social context for activities; and 4) Social influence defining marketing value. What is most annoying to me is that Facebook Connect is proprietary, and it competes with an open standard, OpenID. They could have just as easily implemented the open standards - but they chose to go in a different direction. For most of the social networks except for Facebook, the walls of the gardens are coming tumbling down. But Facebook is basically just enlarging their walled garden. What does this mean for most nonprofit organizations? Not a whole lot. This is going to take a long time to all of this to shake out, and only the most Web2.0 savvy nonprofits are going to be doing technology projects that will involve implementing either of these new toolsets. 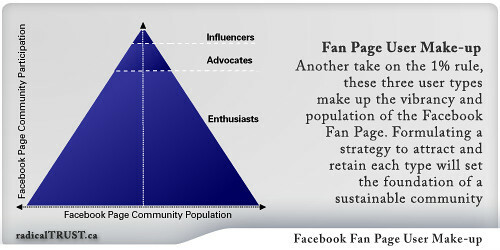 For nonprofits that were early adopters on Facebook and have built up an network there, there may be some opportunities. Also this week, Scoble covered someting called PeopleBrowsr which is TweetDeck on steriods. An application that lets you make groups of your contacts across social networks and see them visually. It does a lot more, but it is pretty beta. It's an interim step. What are your tips for using your social networking profile for professional work? That quote made me think of Wendy Harman's Facebook Profile. Like many of us, Wendy uses her Facebook presence for both personally and professional reasons. As she notes on her profile in the "about me,"
I am the New Media Integrator for the American Red Cross. You'll see a lot of personal "lifestream" info here, but I'm also constantly searching around for Red Cross-related communities. Hints and suggestions welcome. I read an interesting post in the Conversation Starter called "Why I'm Dropping You As A Facebook Friend" where Paul Michelman reports on his lack of success using his Facebook (and Twitter) profile as a personal/professional networking tool and has decided to keep it totally personal. For him, the discomfort of the collision of his professional and private lives outweighs the benefits of using Facebook (and Twitter) for professional reasons. 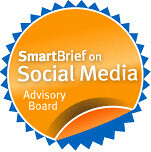 While the future of social networks may allow us to get more granular with our social networks (friends) and privacy settings so we can automate being strategic in with our postings and more selective in our friending, if you need to establish a profile as part of your work -- you have to figure out the best way to balance your personal versus private persona. What professional value has your Facebook profile brought you? If you have a presence on Facebook and need to professionally represent your nonprofit organization, how do you manage that? Do you have a "private/personal persona" and "professional" one? Jesse Stay, I'm On Facebook Now What? (Hat tip: Jessica Dheere, Project Director, Social Media Exchange, Beirut) for pointing to this excellent resource - A DigiActive Introduction to Facebook Activism. It comes from Digiactive, a five-month-old site devoted to digital activism and was written by Dan Schultz, a student at Carnegie Mellon University in Pittsburgh. He was one of 27 individuals to win the first Knight News Challenge. The 15-page PDF includes the pros and cons of using Facebook for activism, a step-by-step guide to organizing an activism campaign on Facebook, and examples of campaigns from Burma, Morocco, and Egypt. It is a quick read and very useful. Before the excellent how-to advice and fantastic case studies, he explains "Why Facebook Isn't a Silver Bullet" in some very clear bullet points. Schultz says about Facebook interaction design, "Facebook may be free, but it has not been designed to suit your needs as an activist organizer. This means you will find that the site's functionality does not always match what you need. 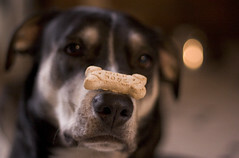 You will have to stretch what's there in order to be effective." This chapter takes a look at a small, but important group of Facebook applications - those that are designed to raise money or awareness for social change. With a few exceptions, these applications have yet to raise significant dollar amounts. 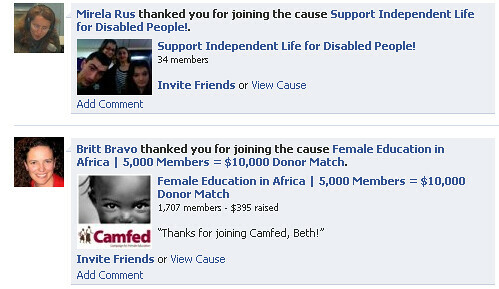 However, deploying Facebook Apps to raise money for social causes is still in its early stages. How can it be more effective? Do nonprofits and social activists who have embraced Facebook to further their causes need to rethink their activist theories and campaign tactics? Or do application developers need to incorporate activism and donor motivations into their design? 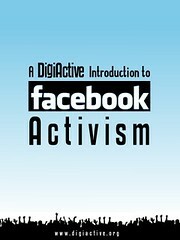 The general model for an activism campaign is: reflect-plan-act-reflect-plan-act and this works for Facebook Activism. Another view of planning is similar to the development of an organism, i.e., an “organic,” self-organizing process. Certain cultures, e.g., Native American Indians, might prefer unfolding and naturalistic “organic” planning processes more than the traditional mechanistic, linear processes. Self-organizing requires continual reference to common values, dialoguing around these values, and continued shared reflection around the systems current processes. What type of planning style do you think works best for social media or web2.0 efforts? I heard about this from FriendFeed because Jonathan Colman shared this link and the resulting conversation prompted Jonathan to send me some additional information. It peaked my interest as part of my continued coverage of Facebook Apps for Good. (Lil) Green Patch is a social gardening game. A what? By planting cute little (virtual) fruit plants with your Facebook friends you can help make the world a greener place! Facebook users start by either sending plants to their friends or by accepting plants from their friends. The plants given by your friends are displayed in a (Lil) Green Patch on your profile. Like a real garden, it requires maintenance and the game includes lots of ways to interact with the larger Green Patch community and your friends. Just read the application FAQ. 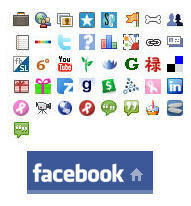 The application is one of the top ten most installed applications on Facebook. According to Developer Analytics it has 5,217,180 installations with 521,718 or 10% active users. But what makes it stand out from other popular applications - such as Friends for Sale - is that it combines group dynamics with social activism. And it goes beyond just putting a cute little green vegetable plant on your profile -- the applications is making donations to green causes. The application gets sponsor revenue and contributes a portion of that money to save the Rainforests based on the number of installs and active users. The most recent donation was made May 1, 2008 to the Adopt An Acre program of the Nature Conservancy bringing the total donated to $33,600 and 16,000 members or an average of $2.00 per donor. According to Jonathan Colman, (Lil) Green Patch's most recent donation just occurred this past week, but they've been donating $6-$10k a month to Nature Conservancy Cause since January, 2008. Colman notes, "They're one of the most popular apps on Facebook and they link directly to The Nature Conservancy's Cause at which helps us recruit new members (4k/month at our peak) as well as attain individual donations." Recently, Facebook Causes released its numbers for its first year (also discussed on FriendFeed here) The company says they’ve registered 12 million users who are now supporting more than 80,000 non-profit causes worldwide. $2.5 million has been raised for 19,445 different 501(c)(3) charitable organizations. As Jon Stahl notes in the comments in the TechCrunch post, "So, 2.5MM / 20,000 nonprofits = $125 avg. raised per nonprofit. Not very impressive at all." Still, as Max Gladwell notes in the comments, "It's only getting started," and points to his "Ten Ways To Use Social Media to Change The World." 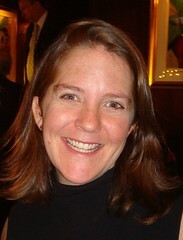 Those who look at the first year of results as positive, such as Austin Hill who said in the comments, "More important then the actual number of dollars donated is the social affect of users displaying the causes they want to associated themselves with.Many charitable organizations spend considerable amounts of money on marketing and fundraising. By allowing users to showcase their own interests through Causes Project Agape is enabling a new form of charitable marketing." With social gaming applications where users are engaged with the charity through play and generating sponsor revenues - does this model have the potential to raise even more dollar amount? Do you think Causes first year is pretty good, although the dollar amounts less than impressive? How is your organization thinking about the value of a Facebook Cause - are you in wait in see mode, we tried but it didn't work mode, or investing for the longer-term mode? Stop Climate Change supports the Nature Conservancy. According to Dank Apps founder Jason Beckerman, they will use the advertising revenue model it developed for its Lotto application and donate a percentage of its advertising revenue when a user installs the application, recruits friends to install the application, or plays the mini games incorporated in the application (Karma Numbers, Karma Tickets, or Karma Matches). For every new user install on a Social Change application, Dank Apps Inc will donate 2 cents to the charity. In addition, advertising revenue is shared based on overall active users and advertising performance. Now that doesn't sound like much. But if you look at the Campaign for Breast Cancer Research cause on Facebook, the largest one - it has over 3 million members. If all of them installed the application once, that would earn $60,000 for Breast Cancer Research. Okay, that's about what the Causes application has raised to date for this charity. But, the opportunity to earn for the cause is not simply a matter of installing the application. Money can also be earned for the charity if users recruit their friends or play some of the mini games or engage with the community. The mini games are not specifically designed to educate about the cause or charity - but are pure Facebook fun. The games include giving good karma, numbers games, match gifts, and karma tickets (like scratch and win lottery tickets!). The applications also include a widget badge (see above) that you can put on your web site to recruit people off of Facebook to join the fun. 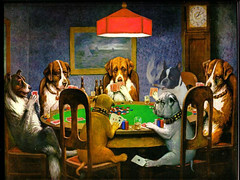 The money that is earned from user participation will be donated to the charities through a Facebook Cause. While users can see the money that is earned, it may get a little confusing. This application takes the click for a cause revenue model (remember FreeRice?) and puts it on steroids. Seems like less work than entering a competition. Will the act of installing a game application and supporting a charitable cause catch fire in Facebook? Maybe the fact that you are playing a virtual lottery won't have any stigma if you are doing it to earn money for a charity. And, if users are playing a variety of games that are not linked to the content or educate about the cause, will they remember their good deed? Will they go on to become a supporter of the cause? Also, what concerns might nonprofits have about the particular advertising the user will be exposed to? I'm sure there are careful matching - for example, no cigarette ads linked to the breast cancer research. Another questions is will Facebook users, weary with application invitations simply ignore it? On March 8th, I asked how the world's youngest billionaire (Facebook Zuckerberg) will use his wealth for good? The folks over at the Global Giving Blog offered 450 answers. Meanwhile, there he was finally asked this question by a journalist. (Hat tip Rachel!) Valley Wag "Zuck: Superpoking Platform Makes the World A Better Place." Not yet, Zuck said. ""We're not incredibly profitable, we're not at that stage. 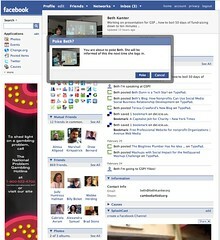 For now, he said, people should remember that Facebook itself is a charitable gift to the world. But I'd like to think that just what the company is trying to do in general, just helping people communicate, is actually making the world better. A lot of people are actually building really interesting applications that are more to the tone of traditional philanthropy, like the Causes application. Just by making this development platform, we're enabling some of those things. The way that we're going about it isn't by donating money directly to charity. One of the commenters suggests "If "just helping people communicate" makes the world better, then AT&T is frickin Jesus." I'm not sure I'd describe Causes as the tone of traditional philanthropy given that the dollar amounts have been pretty low, although the numbers of people recruited high.